During Pancreatic Cancer Awareness Month this November, Dr. Keith Chertok is raising awareness about how preventing gum disease may help prevent pancreatic cancer. Research has shown that the two conditions are correlated, so people in Berkeley who seek gum disease treatment from Dr. Chertok can improve their long-term health as well as their oral health. During Pancreatic Cancer Awareness Month, Dr. Keith Chertok is contributing by bringing attention to the connection between pancreatic cancer and gum disease. Research indicates that the prevalence of pancreatic cancer is higher among people with periodontal disease, which means that treating or preventing gum disease may have life-saving effects in the long run. Dr. Chertok helps patients in Berkeley enjoy these benefits by offering a less invasive but still effective type of gum disease treatment. Dr. Chertok is raising awareness because the connection between pancreatic cancer and gum disease is significant yet not widely heard of. A Harvard University School of Public Health study published in 2007 found that the occurrence of pancreatic cancer was 63 percent greater in men with advanced periodontal disease. More recent studies have confirmed that a greater risk of various types of cancer is associated with periodontal disease. The exact mechanism behind the correlation is not well understood yet, but inflammation may play a role. Periodontal disease causes chronic inflammation throughout the body, because harmful bacteria enter the bloodstream through the gums and circulate elsewhere. The constant inflammation may cause immune system response to weaken over time, increasing the risk of cancer. Dr. Chertok educates patients so that they can understand the importance of practicing good oral hygiene and seeking treatment for gum disease early on. People can minimize the cancer risk associated with gum disease by taking steps toward preventing gum disease whenever possible. Adopting consistent brushing and flossing habits and quitting smoking are two ways to lower the risk of periodontal disease. People who are afflicted with gum disease or are experiencing symptoms like bleeding and inflammation should seek treatment as soon as possible. Dr. Chertok uses advanced technology to offer his Berkeley patients a minimally traumatic gum disease treatment. During the Laser Assisted New Attachment Procedure (LANAP), Dr. Chertok uses the Periolase MVP-7, a laser that specifically targets gum disease. Healthy tissue is left intact, reducing the healing period. Patients who have this procedure can prevent the immediate consequences of gum disease as well as the long-term health effects. Anyone who wants to learn more about the health risks associated with gum disease should visit Dr. Chertok's website. People who need gum disease treatment can schedule an appointment with Dr. Chertok by calling his office today. Keith Chertok, DDS is a periodontist offering personalized dental care for Berkeley, CA gum disease patients. Dr. Chertok graduated in the top five percent of his class from the New York University College of Dentistry and was elected to the honor society Omicron Kappa Upsilon. He received the Quintessence Award for excellence in Periodontics and went on to complete a Hospital Residency program at the New York VA hospital. Dr. Chertok arrived in California to study Periodontics and Implantology at UCSF. He taught at the Dugoni School of Dentistry and UCSF dental school and continues to teach education courses to dentists and dental hygienists. 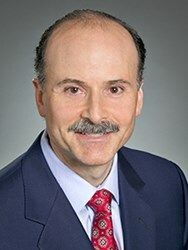 Dr. Chertok is the attending periodontist in charge of periodontal education for the dental residents at the Veterans Hospital Healthcare System of Northern California at Mare Island. He is part of one percent of dental professionals providing the LANAP FDA cleared laser procedure for gum disease and periodontal treatment. To learn more about Keith Chertok and his dental services visit his website at http://www.berkeleyperiodontist.com and call 510-423-0748.